Q. An anxious young adult is brought to the interviewing room of a crisis shelter, sobbing and saying that she thinks she is pregnant but does not know what to do. Which of the following nursing interventions is most appropriate at this time? A. Ask the client about the type of things that she had thought of doing. B. Give the client some ideas about what to expect to happen next. C. Recommend a pregnancy test after acknowledging the client's distress. 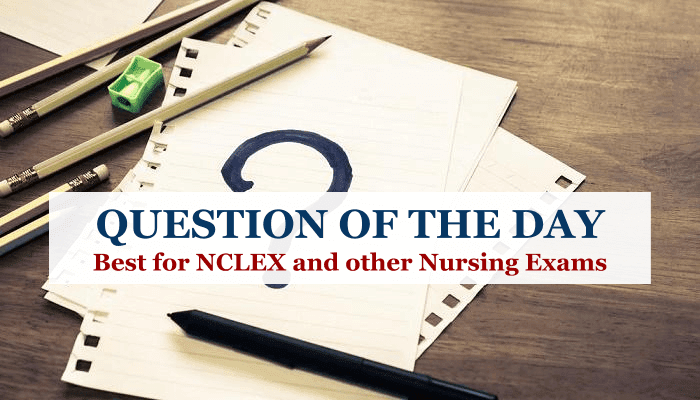 D. Question the client about her feelings and possible parental reactions. Explanation: Before any interventions can occur, knowing whether the client is pregnant is crucial in formulating a plan of care. Asking the client about what things she had thought about doing, giving the client some ideas about what to expect next, and questioning the client about her feelings and possible parental reactions would be appropriate after it is determined that the client is pregnant.